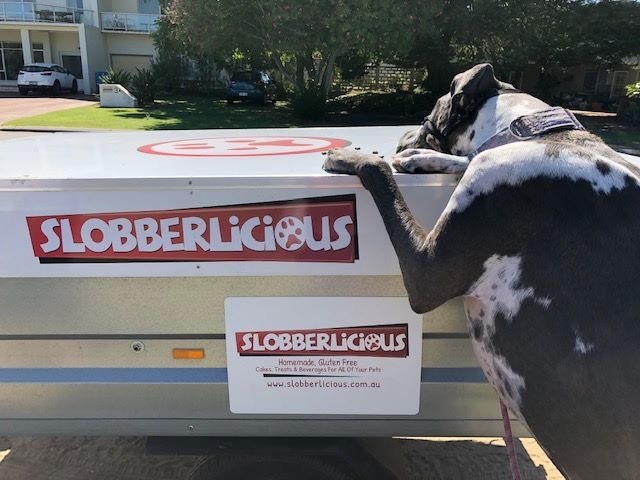 Check out Rhubarb photobombing our trailer! Don’t forget if you see us out and about and can manage to take a fur baby selfie – pop it up on our Instagram and Facebook to be in the chance of winning 500g of Treats. Introducing our new Chief Taster – Mobi! Where can you find us in 2019? Join our mailing list for specials, tips & tricks. © Copyright Slobberlicious. All rights reserved.